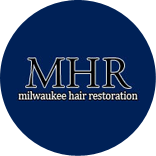 Hair loss sufferers in Southeast Wisconsin, can trust their balding heads to Franklin Hair Restoration. Leading the team of certified hair restoration technicians is Dr. Roger Mixter and Dr. Mark Blake, both licensed plastic surgeons and hair specialists. They maintain a high level of expertise in follicular unit transplantation, one of the most accurate and effective hair restoration treatments. Residents of Franklin, Oak Creek, Muskego and Greendale will not be disappointed by the welcoming environment and stunning results they’ll get from Franklin Hair Restoration. Dr. Mixter and Dr. Blake make sure that each patient’s individual needs and goals are addressed, making sure they understand the details of hair restoration surgery. Follicular unit transplantation is a relatively quick procedure, which takes hair from the donor area at the back of the head and then places individual grafts along the balding areas, creating a natural looking hairline. Franklin Hair Restoration performs this treatment in office under local anesthesia, allowing patients to travel a short distance for elite services. The treatment can be done in one day and patients are free to go home immediately after surgery. Franklin Hair Restoration can also perform corrective restoration for those who have received old-fashioned hair plugs in the past. In Franklin, hair loss can be reversed with the help of the trained professionals at Franklin Hair Restoration. The warm and friendly staff are happy to meet with patients to discuss any questions or concerns, providing them with all the information they need. If cost is a concern, Franklin Hair Restoration offers a unique pricing system that lowers the hair restoration cost as the number of grafts increases. They also offer patient financing through CareCredit. Don’t hesitate, call us today to find out about the exceptional hair loss solutions at Franklin Hair Restoration. We can set you up with a personal consultation with Dr. Mixter and Dr. Blake and get you on your way to beautiful hair.